Are you looking to create a digital product that you can sell online and make money? 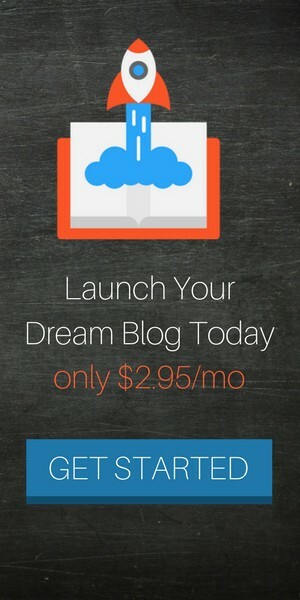 Or maybe you’ve read income reports from other bloggers that inspired you to create a 6 figure per year product? Every day there are millions of people surfing the internet for information to learn. And when they search for this information, they’ll find it in 3 basic formats. When you are creating an online business and struggling to come up with new product ideas, think about these 3 methods to teach people what you know. You don’t need to be the expert of the industry. You just need to know more about a subject than someone else. When I started GolfPracticeGuides.com in 2014, I was a skilled golfer who could score under par for 18 holes but I wasn’t a certified teaching professional. Regardless, I started my golf blog to share my knowledge and perspective of the game and it’s turned into a success earning me thousands of dollars from digital product sales. Now it’s your turn to take a passion of yours and build informational products you can sell in either written, audio, or video format. 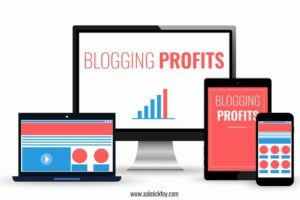 Let’s jump into each digital format in more detail and at the end I will share more about Profitable Blogger which is designed to help you succeed and make an income as a blogger. Many online entrepreneurs start out by selling written content, usually in the form of an eBook. An eBook is simply a digital book people can download to their computers to read. Think of it like a PDF file someone is paying money to download and read. To create an eBook is quite simple. You need access to a word processing program such as Microsoft Word or Notepad. I recommend using a cloud based program so you can write from anywhere and any device. Cloud based programs I use to write and store documents include Google Documents and Evernote. Both are amazing and allow me to login and access all my documents from anywhere, on any device, and at any time. Once you’re ready to publish your eBook for sale, I would create an Amazon Kindle Publisher account. It’s free and you can start selling your eBooks on Amazon initially to earn money and test them out while you work on getting more traffic to your blog. The next step up from written content is audio content. Imagine your favorite book you love to read but let’s say in this example that you are too busy with day to day life to sit down and actually read your book. This is where audio content comes in clutch because someone can simply download audio books in today’s world to listen to on the go thanks to great platforms like Amazon’s Audible. Audio content allows people to consume knowledge in the car on the way to work, while traveling, at the beach, and many other places that reading a book just isn’t possible. Once you’ve written an eBook, consider having it formatted into an audio book. This will give you an upgrade to sell to your customers on top of the eBook and many customers will buy it due to the convenience of audio material. Another option with audio content is creating a podcast. Podcasts are becoming more popular these days thanks to iTunes and can be downloaded from the podcast app on iPhones and iPads. Podcasts are like mini radio shows where you record a 3-5 minute lesson or a 45 minute show and then you upload it to iTunes for people to download your podcast show and consume all of your pre-recorded episodes at their own leisure. It’s free but can be a great method to grow your brand and get exposure to a larger audience. The final type of material you can create is video content. This type of content should be referred to as the luxury content because videos are harder to make but more engaging than audio and written content. Video content is becoming huge. YouTube is taking off with millions of minutes of video content uploaded every minute to their platform. Periscope is the new popular video app where people can record themselves speaking or what they’re currently doing and broadcast it live to their followers. Facebook has come out with live video broadcasting as well allowing people to air live for their Facebook friends to see as well as watch later on replay. Instagram Live video and Snapchat video are other examples of a world moving into video as the primary medium of consuming information. When you’re building informational products, consider video as an important step to creating a high demand resource or product. You could create a mini video course on different topics that you charge $25 per mini course. The goal would be to get repeat customers who buy each mini-course but you’re also diversifying to catch a larger amount of customers by having multiple courses on different topics. People seem to love bite sized courses that are quick, full of value, and easy to consume. This is the reason mini courses are effective and an option when deciding what type of informational product to create. You could create a video course with several modules and charge $50-$100 for the course. It could be a one time fee they pay and it unlocks access for them to login and complete all of the video modules in the course at their own pace. You could create a large video lesson library and make a membership website that people pay a monthly fee to be apart of in order to get access to your library of video lessons. 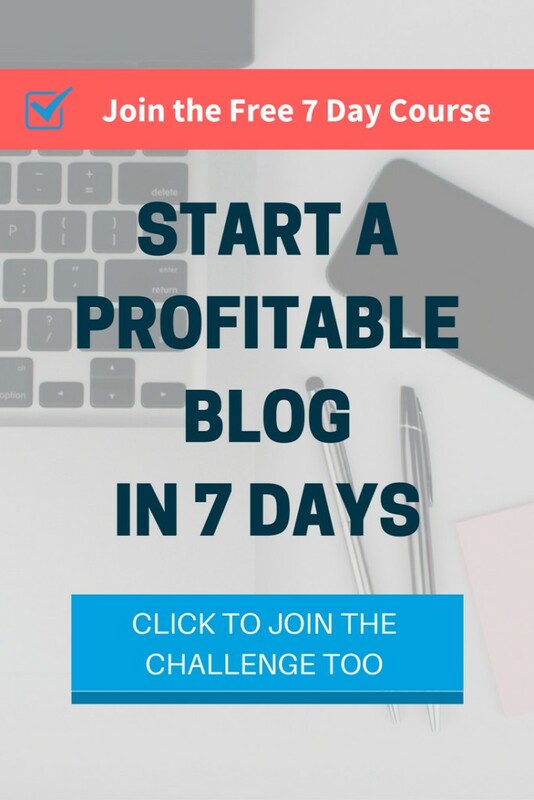 Check out my eCourse, Profitable Blogger, where you’ll learn how to build products including video courses that can earn you 5, 6, and maybe even 7 figures as a blogger. 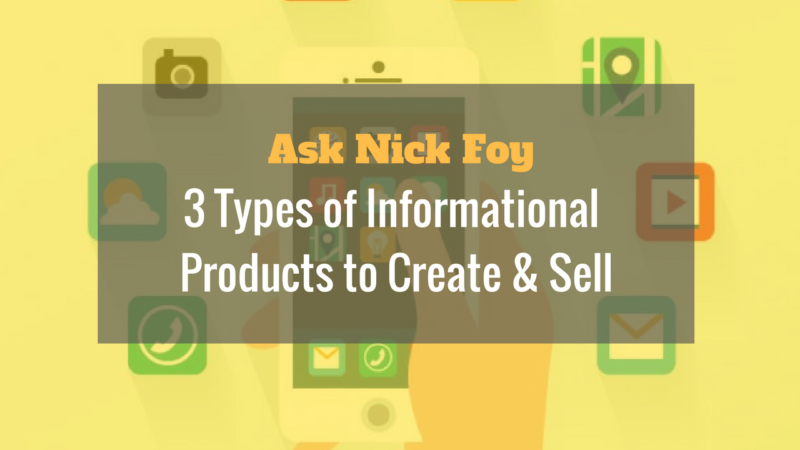 If you create all 3 types of informational products, you are giving yourself a wider reach and appealing to more of your audience. Everyone has their own method of consuming material: written, audio, and visual. You can take it a step further and package these types of products together to create packages that you charge more for. For example, you could charge $20 for your eBook, $47 for your audio book or course, and $77 for your video course individually. Together, you could charge $60 for the eBook and Audio book as a package. You could charge $97 for the audio course and video course (saving $27 if bought individually) and you could charge $125 for all 3 as a bundle, saving the customer $19 compared to if they bought each individually. The odds are you’ll get people buying the bundle package for $125 who otherwise would have been completely happy buying just one product from you if it’s all you had offered. Since you offered multiple product types and packages, you’re bringing aboard new sales that never would have happened. Your customer is happy because they are getting a lot of value and has multiple ways of learning material from you and you’re happy because you just increased your sales revenue from $20 for just an eBook to $125 since they bought the entire package. The key is to create quality informational products that deliver value. Then effectively communicate the value being delivered on your sales page and you’ll have no problem selling informational products. People love learning and they love the convenience of packaged information. It saves them time from having to search all over the internet when instead they can purchase a book or course that lays all the informational out for them in an organized manner. Now I want to hear from you! Comment below what informational digital product you’re working on or planning out? Is it an eBook, a video course, or a podcast/audio product? Should You Hide Your Affiliate Links?